The last year in mobile video has brought changes in unprecedented ways. 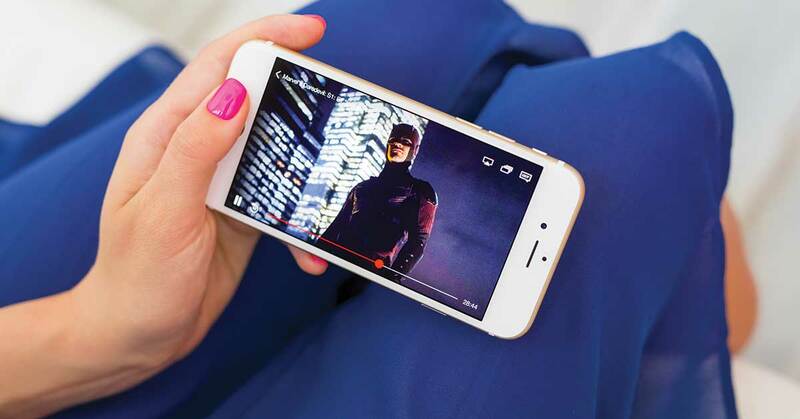 As long-standing methods of broadcast, movie, and television consumption are upended, mobile continually leads the way in shaping how consumers devour the video content they want, whenever and wherever they want it. There seems to be no end in sight to the growth in niche video-on-demand (VOD) services available to consumers. There are currently about 100 such services available to subscribers in the U.S. and Canada. Netflix and its almost 110 million global subscribers lead the pack by far. The closest contender is Hulu, with only about 50 million subscribers. Of course, it’s not only big media companies that are now into the content creation game. According to the Wall Street Journal, Apple plans to spend $1 billion on producing original content in 2018. And this is only the tip of the iceberg. The quantity of original, short-form and long-form content being produced for even the smallest VOD services is staggering. Every time you turn around, there’s another new series being produced. And how are users consuming all of this content? Why, on their phones and tablets, of course! As of the second quarter of 2017, 57 percent of online video content was being consumed on mobile devices. It should be noted that this was the 23rd consecutive quarter that this percentage rose. Expect that trend to continue. It’s been said plenty of times, but it’s worth repeating: Make sure your content is mobile-optimized. From frame size to encoding, you must ensure that your video can be viewed properly and easily on phones and tablets. Although shorter videos are the de facto standard when considering producing online video, long-form video still makes up the majority of content consumed on all devices. This is likely the result of several factors. Our commutes are long. More of us are living in urban areas and using public transit. We’d rather stare at a screen in front of us instead of the person next to us. Mass adoption of self-driving cars is still quite a ways off in the future, but it is coming. We can expect to be able to stay glued to screens for virtually the entire day when we don’t even have to put them down for our drive time. Pixar’s vision in the movie WALL-E isn’t sounding all that far-fetched now, is it? Our screens are great, and they’re only getting better. The sharpness, vibrancy, and color accuracy of our phones, tablets, computers, and TVs are phenomenal. Viewing is easy on the eyes, so we can tolerate staring at them for lengthier periods of time. And speaking of those gorgeous screens, they’ve not gotten much larger in 2017, but they have gotten a little weirder. Both the iPhone X and the Android-based Essential PH-1 have the distinction of screens that include a notch or cutout at the top and bottom. Apple’s device is notable for the large, rectangular notch at the top. The PH-1 has a much more discreet notch, only large enough for the camera lens to poke through. The largest segment of screen sizes, at 43.3 percent, is 5.5"–6". The second-largest segment, at 29.5 percent, is the 4.5"–5" range. From 2016 to 2017 this hadn’t changed much, but since 2014 we’ve seen a massive shift. That year, we saw just over 30 percent of devices with screens measuring only 4"–4.5". Currently, the 5.5"–6" size is the biggest sweet spot for mobile users, and don’t expect that to change any time soon. The segment above, 6"–6.5", accounts for less than 2 percent of devices. Looks like we finally hit the “phablet” ceiling. Some phones are even getting display technology that rivals our best TV sets. The LG G6 employs both Dolby Vision and HDR 10. The Sony Xperia XZ Premium also supports HDR content. Other mobile device trends over the last year include water-resistant ratings in most flagship and higher-tier devices. Even some lower end devices like the Motorola G5 Plus have IPX2 ratings for moisture resistance. Given that water damage is the second most common damage to mobile devices, it makes sense that device manufacturers are investing in defenses against moisture. Across the U.S., mobile internet speeds have quickened considerably. In fact, according to Ookla, mobile download speeds bumped up by 19.2 percent to an average of 22.69Mbps. While this is a good improvement, it was down from the previous year’s increase of 33 percent. Upload speeds only rose 4 percent, compared to 28 percent the previous year. So although our mobile network speeds are still improving, the rate at which they are improving has slowed down. Chalk this up to what is becoming a nationwide saturation of 4G networks. T-Mobile had the fastest network at 23.17Mbps, with Verizon a close second at 21.13. The seemingly ancient promise of 5G mobile tech will finally become a slightly more attainable reality to consumers in 2018, albeit to a small number of them. Verizon already trialed its 5G network in 11 cities in 2017. In the second half of 2018, it plans to roll out commercial availability in Sacramento, Calif. T-Mobile plans to begin rolling out its 5G network in 2019, with a target of full expansion by 2020. AT&T already began offering 5G in several U.S. cities in 2017. As is usual with new network technologies like this, the first uses will be mobile USB sticks for tablet and laptop connectivity. ISPs will also most certainly be looking to offer wireless home internet. Don’t expect to see more than a handful of 5G-capable phones being offered in 2018. And if the first 5G devices are on par with first-generation devices that were made for 3G and 4G networks, expect them to be abysmal on battery life and general connectivity. Despite some cynicism and skepticism among pundits, 5G is coming quickly, and we’ll all soon be reaping the benefits of the new 70Gbps networks. In December 2017, the White House released the “National Security Strategy” report, which specifically mentions 5G as a priority for the government. Noted as an infrastructure improvement, the document says, “We will improve America’s digital infrastructure by deploying a secure 5G Internet capability nationwide.” Most interestingly, natural gas is the only other infrastructure item named in the strategy. Why is such importance held to something as basic as wireless internet? There are several possibilities, and one or all could be at least part of the reason the U.S. government wants to push so hard on this. First, it’s clear that the government isn’t intending to roll out a federal 5G network. It makes clear that all levels of government should be working with the private sector to make these networks a reality. The reasons for this can possibly be boiled down to a look at the Republican-majority federal government. Republicans are more apt to lean on the private sector to work things out, while Democrats are more likely to fund a new federal program or department to execute something like this. Either way, the White House wants the private sector to have the federal support that it needs in order to make a network that will keep the U.S. ahead of competing nations. The trickle-down effect of having one of the first and best national 5G networks cannot be overstated. Rural and remote internet connectivity is still in a deplorable state in the U.S., and 5G networks will be the best possible solution to getting high-speed, reliable internet to homes and businesses scattered hither and thither. In turn, this will aid in education and economic stimulus. Right now, the lack of high-speed and/or reliable internet in remote and rural areas prevents or handicaps educational and business opportunities for a large swath of the American people. Relying on current 4G cellular phone plans works for some, but even wireless carriers have been hesitant to spend millions on new towers in areas that cover square miles with low population density. Sharper screens, multicast, and phablets set the stage for the year ahead. As consumers watch more on mobile devices, how many subscriptions will they pay for?